How Are Melee Diamonds Cut? You might have never heard of melee diamonds, but you’ve definitely seen one. Melee diamonds are the tiny, glittering gems that are embedded together in a piece of jewelry. These small, specifically cut stones are featured in many wedding and engagement rings, as well as a variety of other jewelry pieces such as bracelets and pendants. There are a few ways to define this type of stone, but here is a simple explanation of what sets melee-cut diamonds apart from the rest. Melee diamonds are cut very small to fit sparkling settings like pave, eternity, or halo settings. The exact size of a melee diamond varies, but the GIA definition limits them to 0.2 carat or less in total weight. 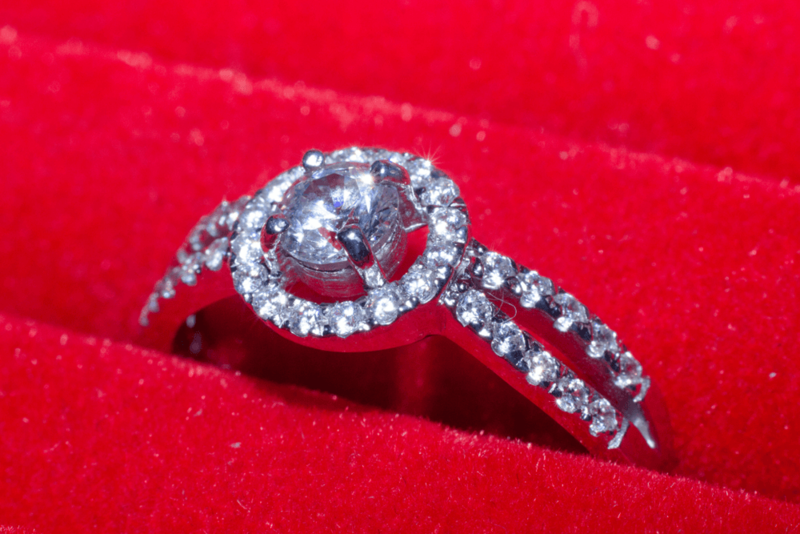 At the other side of the scale, melee diamonds can weight as little as 0.001 carat! They’re often used as accent stones to add some sparkle to larger stones. Due to their small size, they are typically cut in one of two ways: single cut and full cut. What is the difference between single and full cut? Single-cut melee diamonds, or stones with 17 or 18 facets, give off more of a mirror-like shine that’s reminiscent of vintage or antique styles. They typically feature a table, eight pavilion facets, and eight crown facets. They also might include a culet, which is an additional facet point where the pavilion facets meet. Depending on the style of the ring and the target look and feel of the stones, this might or might be a desirable trait. Full-cut melee diamonds are basically miniature versions of the standard brilliant round cut, and they feature 57 or 58 facets. The structure of a full-cut melee stone typically includes 32 crown facets, 24 pavilion facets, a table, and a culet. This cut allows the stone to reflect light in smaller, more targeted increments, which gives the stone a more fiery sparkle. Today, full-cut melee stones are more commonly used in engagement and wedding rings. 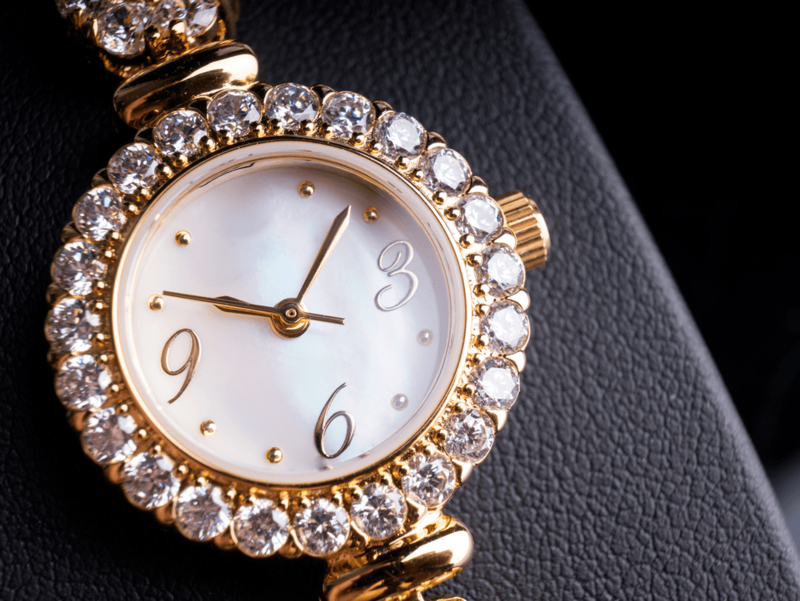 Single-cut diamonds, on the other hand, are often used in high-end Swiss watch brands as well as more distinctly antique styles of jewelry. In general, smaller melee stones typically produce a more glittery look. However, the more facets a diamond has, the more light will reflect through it, giving the gem it’s signature brilliance. 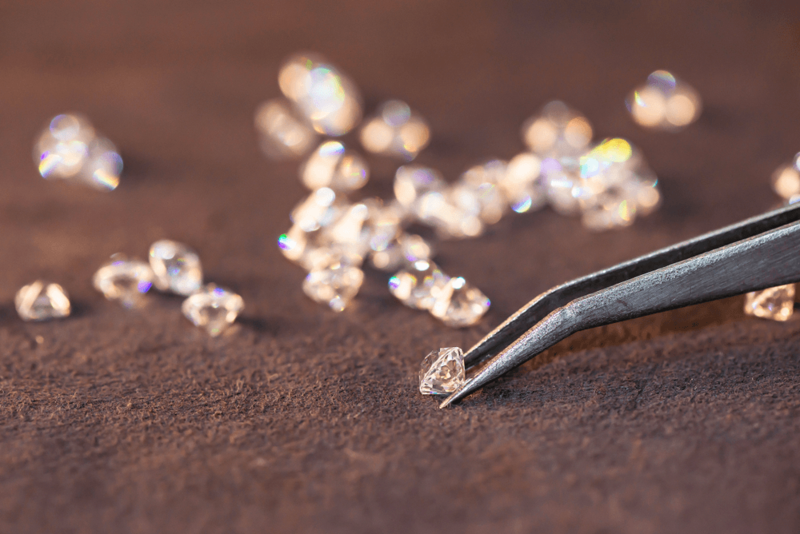 Fortunately, with today’s technology, stones as small as 0.6 millimeters can be cut to have 58 facets, making it easier to produce full cuts in smaller sizes. And, interestingly enough, full cut melee diamonds have actually become the cheaper option! Single cut melee diamonds require less time and effort to produce, but are more expensive because they are now less common. Ultimately, how melee diamonds are cut is often a non-issue among the average buyer. Melee diamonds are so small that it is very hard to compare cut and quality with the naked eye, especially when comparing very small diamonds with larger diamonds used in solitaire settings. The option you choose depends heavily on personal preference. Because of the size of the stones, the differences are subtle so there isn’t really a right or wrong answer when it comes to the selection process. However, there are a few traits that can either be highlighted or subdued by the type of melee you choose. If you want your accent stones to support a dominant colored stone such as an emerald or sapphire, single-cut melees are ideal because they don’t produce as much color on their own. They also pair particularly well with step-cut or vintage center stones. Full-cut melees, on the other hand, are perfect for someone who wants to add even more fire and brilliance to a more modern center stone such as a cushion or princess. They also tend to be more “eye-catching” due to the way they reflect light, creating a bolder sparkle. Depending on the style you choose, the cut of your melee diamonds could have a substantial impact on the piece’s overall aesthetic. But whether they’re in a ring, bracelet, or necklace, melees are a simple and stunning way to add some pizazz without dramatically increasing the total cost.